I decided to take a little break from blogging and painting after #the100dayproject. As I was nearing the end of the project, I began worrying I might not go back to oils and painting the super detailed and blendy way I usually do. Diving into abstracts, working with acrylics, and painting with my fingers was so fast, and so fun. Really, quite freeing. It's how I've always wished that I could paint. So I was a little apprehensive when I picked up my brush to begin a new oil painting few weeks ago. I went in with no preconceived ideas of how it was going to turn out. If it was full of brushstrokes, I'd be okay. If it was super blended, I was fine with that too. I just wanted to paint. I know, right?! This little 8x8 inch painting happened so fast! It took a week from start to finish. I can't get over how amazing it turned out. There are some bits that I didn't blend to death and I love them. I think I might be finally learning to embrace the visible brush strokes! 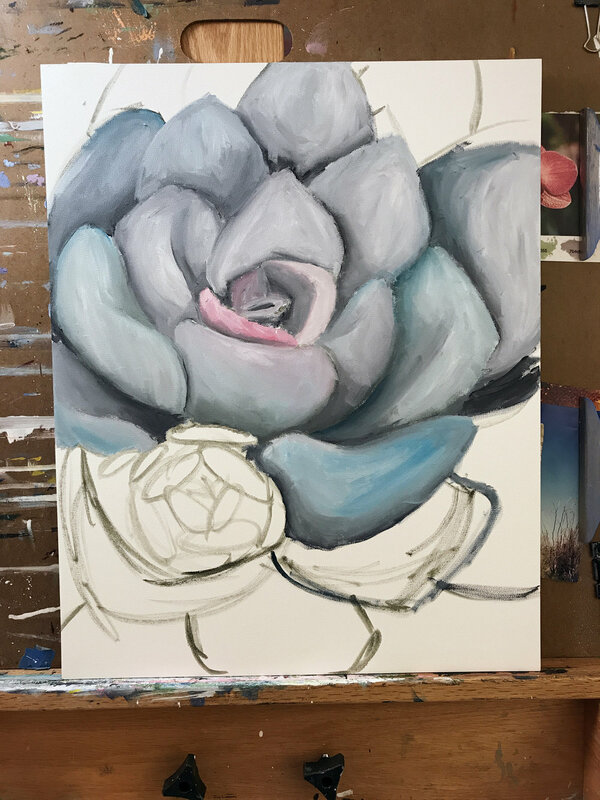 I'm clearly not finished drawing/painting succulents. 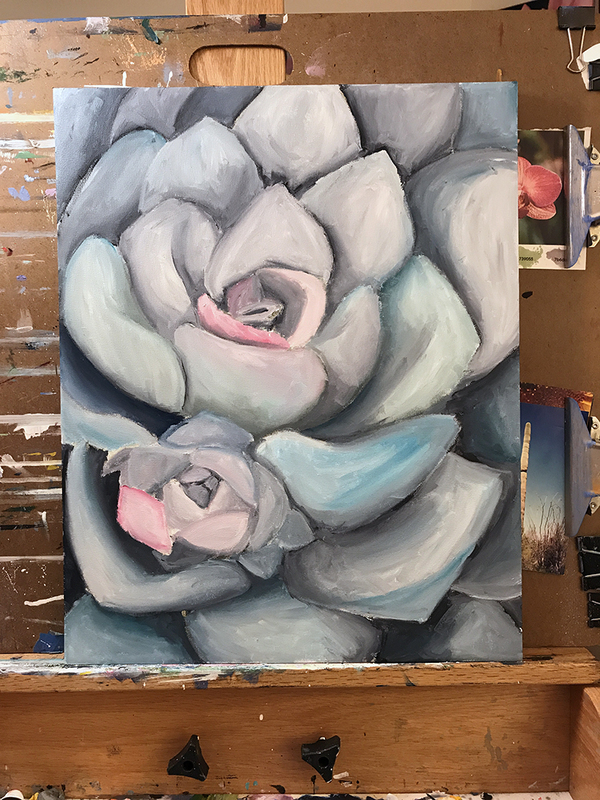 I decided to be a little more adventurous and paint on a 16x20 inch canvas panel. Again, I drew pretty loosely, and figured I can fix the shapes when I go in and start painting. This is what I lovingly call the "ugly phase"
This is where I'm currently at. I've been painting nearly every evening (thank you #the100dayproject for helping build a painting habit!) The top half is totally done and I'm super happy with it. Now, onto the bottom portion. I can't wait to see how the rest of this one turns out!